Dyskinesia: Abnormality or impairment of voluntary movement. Akinesia: Loss or impairment of the power of voluntary movement. Dystonia: A state of abnormal muscle tone resulting in muscular spasm and abnormal posture, typically due to neurological disease or a side effect of drug therapy. 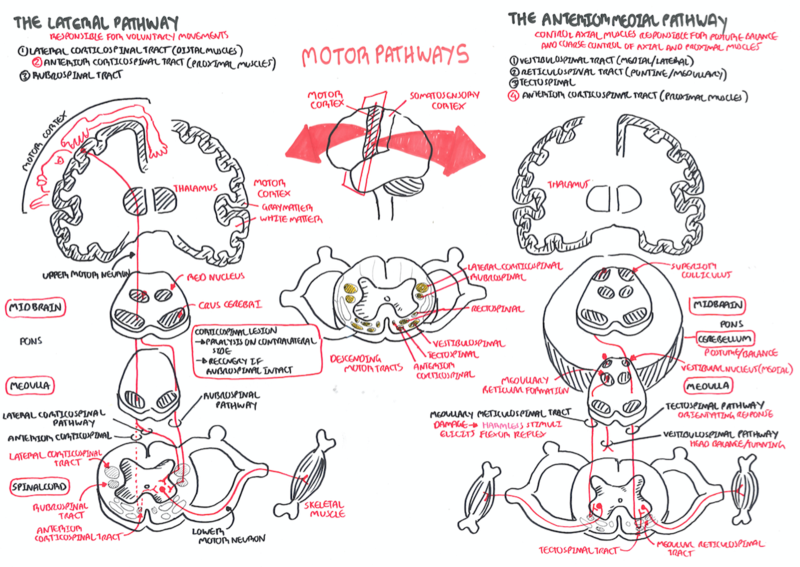 In addition to motor manifestations, children with cerebral palsy frequently exhibit cognitive and sensory impairments, epilepsy, and nutritional deficiencies. Diagnosis of cerebral palsy is based on a clinical assessment, and not on laboratory testing or neuroimaging. 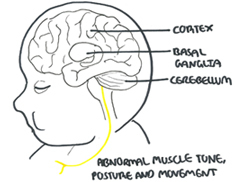 Observation of slow motor development, abnormal muscle tone, and unusual posture are common initial clues to the diagnosis of cerebral palsy. The number of adults with cerebral palsy is increasing because of increased survival of low birth weight infants and increased longevity of the adult population. Adult mobility and ability to perform activities of daily living should be routinely monitored as the patient ages. Krigger., KW. (2006). 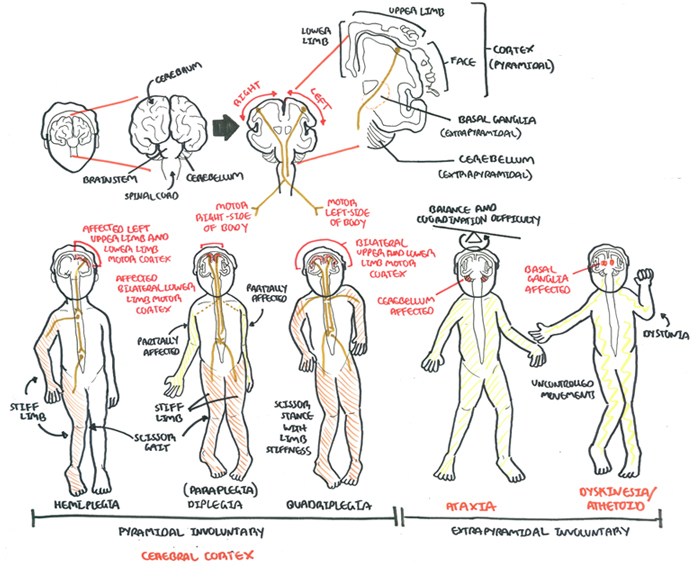 Cerebral Palsy: An Overview. American Family Physician. 73(1). 91-100. O’Shea, TM. (2011). 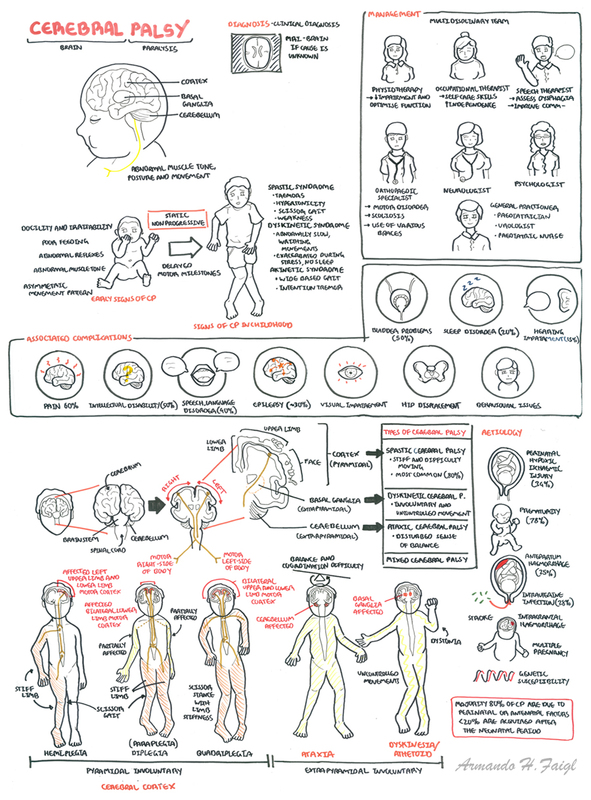 Diagnosis, Treatment and Prevention of Cerebral Palsy in Near-Term/Term Infants. Clinical Obstetrics and Gynecology Journal. 51(4). 816-826.